According to the Florida Highway Patrol, the number of motorcycle accidents that occurred during the final week of Florida’s Bike Week 2017 in March left roads riddled with injured victims. According to the National Highway Traffic Safety Administration, nearly a third of all U.S. motorcyclists who crash suffer from head injuries, but there is a significant difference when it comes to whether or not the rider was wearing a helmet. Specifically, motorcycle riders without helmets are more likely to be seriously injured and require taxpayer-funded healthcare when they get into an accident. Those who survive are more likely to spend longer periods of time in intensive care and on life support. They are also more likely to leave families behind due to the increased risk of dying. Yet, according to federal crash data and studies by the University of Nebraska Medical Center, helmeted motorcyclists are about 70 percent less likely to suffer severe head trauma in a crash, and about 40 percent more likely to survive. Still, in states like Florida, anyone over the age of 21 may operate or ride on a motorcycle without wearing a helmet if they are covered by an insurance policy providing for at least $10,000 in medical benefits for injuries incurred. Florida repealed its helmet law in 2015 and that same year, it also had the highest number of motorcycle fatalities (550). The state of Florida is now considering whether it should revive the state helmet law. Still, if you or loved ones ride motorcycles, it is important that you do your homework when it comes to finding the right helmet that will ensure your safety. 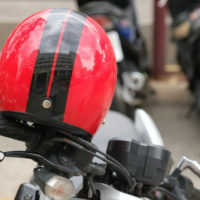 Lawsuits have been filed against helmet manufacturers, claiming that defects in the helmets caused motorcycle riders to suffer traumatic brain injuries when they were involved in motor vehicle collisions. While wearing a helmet can significantly reduce your risk of getting injured or killed in an accident, the wrong helmet can also be completely ineffective. If you or a loved one has been injured in a motorcycle accident, it is important to seek legal representation immediately. According to the National Safety Council, the average disabling motorcycle injury costs close to $90,000. If you were hurt and/or suffered any property damage, you suffered compensable damages, such as the cost of your medical expenses, lost earnings and earning capacity, and other calculable financial losses, as well as damages related to pain and suffering. If the other driver was negligent, your attorney can discuss both your prospective settlement value and trial value. The motorcycle injury lawyers at Friedland & Associates provide legal advice for motorcycle accident victims and survivors. Contact us today in Fort Lauderdale for a free consultation.